Soak up the sun as you learn English! Originally a fishing village, you’ll still see fishing boats as you stroll along the seafront promenade, passing cafés and restaurants adorned with bougainvillea. Take an English course in St. Julian’s Bay and you’ll enjoy a great year-round climate, varied nightlife and golden beaches nearby. The main focus of bars and nightclubs on the island, Paceville, is just a short walk away from our school. This ever-popular part of Malta also offers superb conditions for snorkelling, scuba diving and various other water-sports. 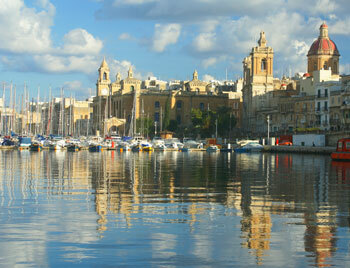 Just a few miles to the south of St. Julian’s Bay lies Valetta, the historic capital of Malta. A UNESCO World Heritage Site, Valetta is home to imperious fortresses, grand palaces and ornate churches, all indelible marks of the city’s eventful past. 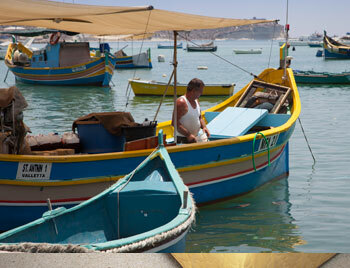 Due to its compact size, you can discover Malta’s charms without the need for lots of travelling. You’ll be impressed by just how much there is to see in this beautiful little country! Being just a short walk from Paceville means that you will have a wide variety of excellent shops, cafes, restaurants and bars on your doorstep, as well as the beach. 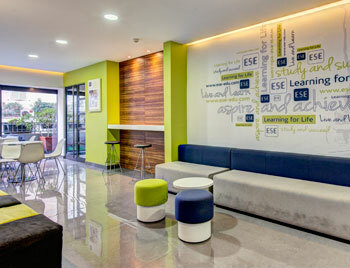 Our English school in St Julian’s also offers first rate facilities for students in modern, well-presented surroundings. Your classroom will be bright, spacious and air-conditioned and you will also be welcome to use the school’s self-access centre, study lab and wireless Internet. The school even has its own on-site café, with a beautiful terrace, where you can enjoy home-made meals and freshly baked bread. Our students choose to study English for a variety of reasons and the courses offered at this school reflects this. If you would like to improve your general level of English, then a group course would suit you best. Most popular tends to be the ‘Intensive’ course of 20 group lessons per week, which usually equates to 4 lessons per day from Monday to Friday. Of course, if you only have a short time available and would like to speed up the process slightly, then you may like to consider the ‘Super-Intensive’ course of 30 lessons per week. Both of these courses have a maximum class size of 12 students. We also offer a ‘Super-Intensive Mini-group’ course which also consists of 30 lessons per week but has a maximum class size of 6 students. If there is an aspect of the language that you wish to focus on, you may like to consider adding some private lessons to your ‘Intensive’ course, as private lessons really are a very flexible option. English is the global language of business and our school offers an excellent ‘Business English’ course. This course will help you to improve your confidence in using English within a business context. This course consists of 20 lessons per week in a mini-group with a maximum of 6 students. Please note that you do need to have at least an upper-elementary level of English in order to take this course. If you do already have a good level of English and need to prove your level in order to attend a university in an Anglophone country, or have to prove this to a potential employer, then you may like to take a Cambridge, IELTS or TOEFL exam. If this is of interest to you, why not take one of our ‘Exam Preparation’ courses, in order to give yourself the best chance of gaining the results you need? You will have 30 lessons per week, which will not only improve your level of English but will also tutor you on the skills required to pass the exams. If you really need to reach fluency in English, our ‘Academic Year’ course can be arranged for 24, 30 or 36 weeks. You will be given options to allow you to focus on areas of the language to suit your requirements and you can even opt to take one of the exams mentioned above to prove your proficiency in the language. Really take advantage of being on this stunning island by adding sailing or PADI diving lessons to your English course. Both courses are fully supervised and offer two levels: beginner and more advanced. If you are a family travelling with children aged 8-18 years, our ‘Family Course’ of 20 group lessons per week will allow parents to study with other adults and children to study with other children. If you are aged 50 years or over, you can take any of the courses mentioned above. However, if you would prefer to learn English exclusively with other students of a similar age to yourself, then our ‘Club 50+’ course would be perfect for you. This is a 2 week course which combines 20 general English lessons with a special programme of activities and excursions. If you require accommodation, you can choose to stay with a host family, in a student residence, studio apartment or hotel accommodation. Host family accommodation is always a favourite amongst our students, as it really does enhance the experience because hosts engage students in regular conversations and really welcome them into their home. This means that when staying with a host family you will have that extra practice in speaking English with native speakers, which should increase your confidence. Student residence accommodation is offered on a bed and breakfast basis. The school offers two residences, one in the same building as the school and the other located just across the road. 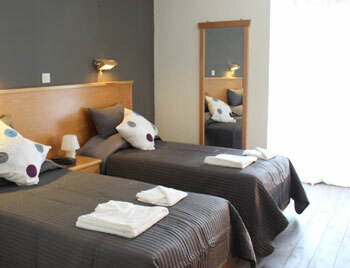 Each room offers en-suite bathrooms and breakfast is provided in the school café. 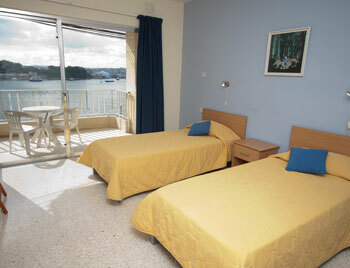 Air-conditioning and wireless Internet access are provided. Studio apartments are suitable for those who really wish to stay on a much more independent basis. They are usually offered in three complexes, with the furthest being located just 30 minutes’ walk from the school along the promenade (or 10 minutes by bus). All apartments are air-conditioned and offer wireless Internet access. Hotel accommodation can be arranged within walking distance of the school. On your first day you will have an orientation walk, which will take in all the useful locations within the vicinity of the school. You will also be invited to a ‘welcome evening’ during your first week which will allow you to meet fellow students and staff. The school also offer a half-day tour of Valletta, Malta’s capital, which includes free entry to the Malta Experience audio/visual show. You will also be offered a range of other optional activities, which will usually incur an additional charge to cover costs. 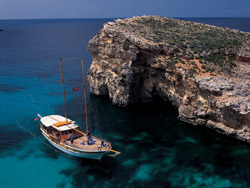 Examples include boat cruises to Comino, go-karting, tennis, golf, mountain-biking, horse-riding, windsurfing and full-day excursions to Gozo. The exact activities offered during your stay will be confirmed to you on arrival. During the summer, you will also have access to the school’s beach clubs. If you book accommodation through us, you will be collected from the airport by a representative from our school, who will also provide you with a welcome pack. In order to arrange this, we will need to receive your arrival details in advance. Please note, however, that we always advise students to wait until they receive confirmation of their programme before making travel arrangements. Average score for our school in St Julians, Malta based on 5 previous client reviews. The classes were very interactive and over the two weeks I've been to Malta, my English has progressed a lot. The rooms were clean and the hotel was very luxurious. The classrooms had good air-conditioning, as did the rooms, which are necessary because of the hot weather. I had a nice stay and everything was very well organized. For example, the organized activities were a lot of fun. We went to the aquapark, to the city, to an island, to the shopping center, and so on. The good thing about it was that these were all optional, so if you just wanted to hang out by the pool, you easily could.